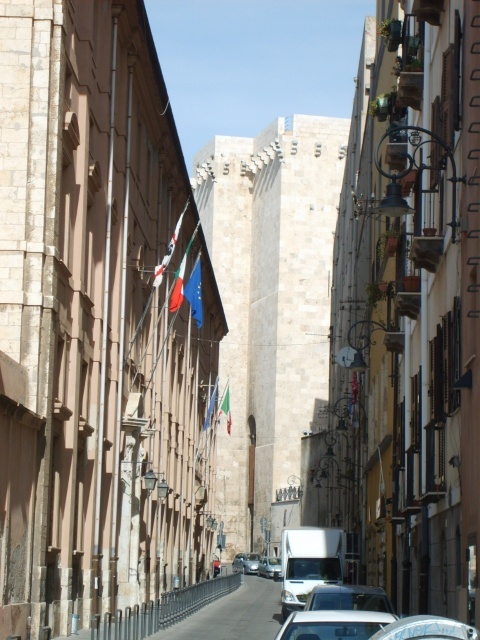 The Rector's Building of the University of Cagliari is situated in Castello district. Also known as “Palazzo Belgrano”, it houses the University library and the Administrative Office. The University of Cagliari began its activity in 1626. In the second half of the eighteenth century, Carlo Emanuele III of Savoy wanted to build a new headquarters of the University of Cagliari and he assigned this project to the military engineer Saverio Belgrano of Famolasco. The sovereign's project consisted of the construction of a vast cultural centre, with the erection of the university building, the “Tridentino” seminary and a theatre in the area over the Bastion of Balice. Of this original project, only the first two buildings were made and the building was inaugurated on 1st November 1769 to coincide with the start of the new academic year. Following the "Casati Law" in 1859 and "Gentile reform" in 1923, other faculties were born. The School of Pharmacy was transformed into an autonomous faculty, the establishment of the Faculty of Education was authorized, and just a year after, the activities of the Faculty of Mining Engineering began. After World War II, the Faculty of Law was permanently placed in viale Sant'Ignazio along with the Faculty of Economics and Political Science. The same years also dates the construction of the building of the Medical Clinic in the Pit of San Guglielmo and the pavilions of Engineering Faculty in Piazza d'Armi. Later, the construction of the seats of the Faculty of Humanities, the Faculty of Education and the Institute of Geology and Mineralogy began. These structures are all situated in a wide area known by the name of "Sa Duchessa" where also the first Student House, the Psychology Faculty and the Faculty of Foreign Languages and Literature (now situated in via San Giorgio) were built. The last decades saw the construction of the Scientific Centre of the University of Cagliari in Monserrato. In the atrium of the Rector's Building of the University of Cagliari, four bronze statues representing Philosophy, Law, Medicine, Science and Technology are placed.